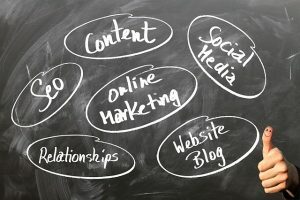 Contact List Builder – Page 3 – Internet Marketing Training, Tips, Tools and Resources for Everyone, Selling Anything to Anybody. Real Lifestyle Changing Results in Three Simple Steps. Contact List Builder “You shop online. It’s convenient, saves you time and saves you money. E-commerce is here to stay. This week we introduce Sherlock Shopping a 5-in-1 app that features, price comparisons, flight comparisons, hotel comparisons, a price finder for a product or service that searches 11 different search engines all at once. Way to go TEAM, let’s keep the momentum going through August! Like it or not, Facebook is having an incredible impact on global e-commerce. Business of all sizes and types are migrating to Facebook and other social media sites in order to enhance communications and improve on the consumers product purchase experience. 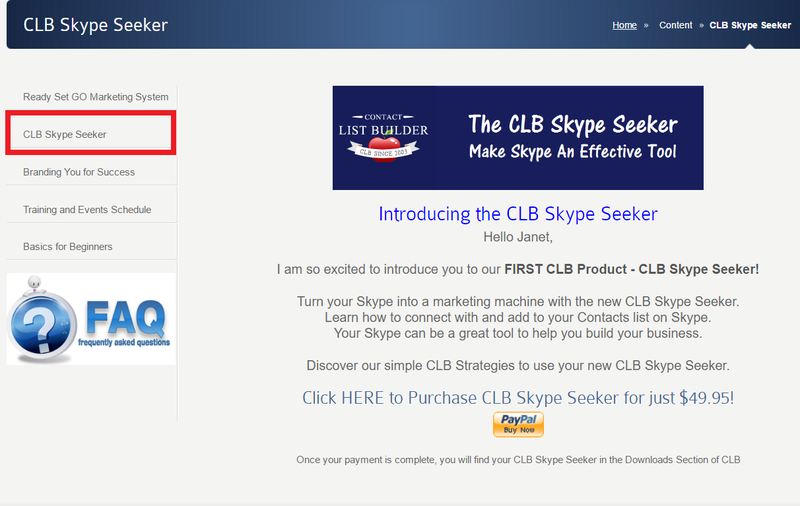 We are excited to announce that the CLB Skype Seeker is now a COMMISSIONABLE product INSIDE CLB. When you sponsor someone to CLB, they will be invited to learn about our new CLB Skype Seeker program. Login to www.clblearning.com and locate the CLB Skype Seeker on the left side as indicated below. People ask, why did we add Sherlock Nation to CLB? I found this great explanation on Sherlock Black Diamond, Chuck Williams training site and thought it answered the questions perfectly. I am excited about our hangouts this week. We have two hangouts scheduled, one for Monday and one for Wednesday. On Monday, I will show you how to setup a Capture page for Sherlock Nation as well as three separate Landing pages to use for follow up with either your Sherlock Leads or your Contact List Builder Leads. At last, the new steps are ready! The new CLB 3 Step Quick Start Guide is your guide to help you understand the CLB system and setup your Capture page, promote and followup. The new report is branded with the affiliate links. If you are an upgraded member at CLB, your report is branded with YOUR affiliate links. The Quick Start Guide is available to ALL members in the DOWNLOADS section in the back office.